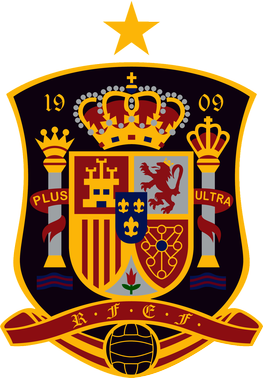 Spain came through Euro 2016 qualifying with nine wins and one defeat. They finished five points clear of Slovakia and eight ahead of Ukraine to ensure they will defend their Euro title in the finals in France next year. Results in friendly internationals over the last 12 months or so have been less than convincing. Since the dismal showing in the 2014 World Cup finals in Brazil the Spanish were beaten 1-0 in France and 1-0 at home to Germany at the end of last year and in 2015 they lost 2-0 away to the Netherlands in March and in their most recent friendly they won 2-1 at home to Costa Rica. Watch the media for news of any withdrawals or injury updates to the squad named by Vicente del Bosque. Juanfran, Mario Gaspar, Gerard Pique, Sergio Ramos, Marc Bartra, Jordi Alba, Cesar Azpilicueta. Mikel San Jose, Koke, Sergio Busquets, Cesc Fabregas, Santi Cazorla, Isco, Andres Iniesta, Thiago, Nolito. England’s record in qualifying for Euro 2016 was even more impressive as they coasted through their group with ten straight wins to finish nine points clear of runners up Switzerland. Like Spain, Roy Hodgson’s side also had a poor 2014 World Cup finals but they are undefeated since then. Recent friendly international results comprise of four draws and two wins. Three of those friendly matches were away fixtures and England won 3-1 against the Scots and drew 1-1 in Italy and 0-0 against the Irish in Dublin. Roy Hodgson named the following squad although James Milner is reportedly doubtful.